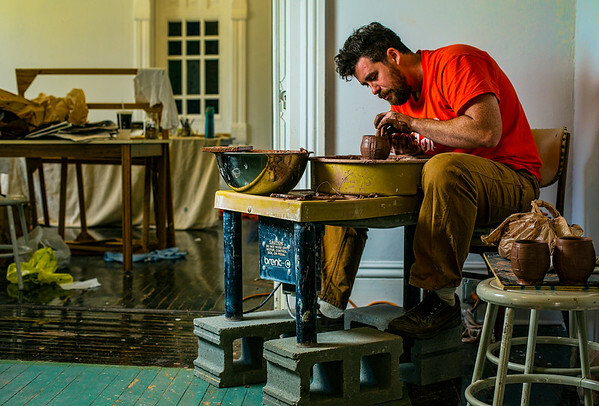 Goshen Youth Arts instructor Parker Hunt finds a quiet corner to create some clay mugs Thursday afternoon as he prepares for his summer arts camp class that begins next week. Various camps run all summer long. Anyone interested should contact Goshen Youth Arts.